It’s usually a great mystery why someone doesn’t leave a tip (unless they’re European or LeSean McCoy). 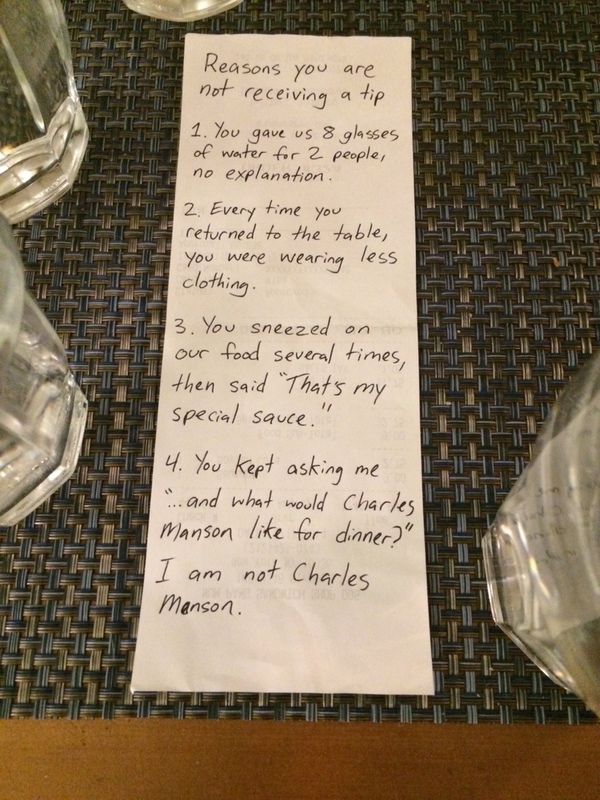 Fortunately for this server, someone took the time to spell out exactly what restaurant faux pas they had made to bring the gratuity to zero. ← Previous Story What If Your (Extreme Obstacle Race) Was An 8-Bit Video Game? Next Story → Who Is Behind The Threat Against Emma Watson?